Thursday, June 9 at 8 p.m. — RUTLAND — CeeLo Green cannot be summed up in just one title. He is a five-time Grammy Award winning singer-songwriter-producer, television personality, actor, entrepreneur, pop culture and fashion icon. In 2011, Green received five Grammy nominations for his worldwide hit “Forget You,” winning the category for “Best Urban/Alternative Performance.” He’ll be entertaining a crowd at the Paramount Theatre on Thursday, June 9 for an 8 p.m. show. Green first came onto the music scene as a member of the southern hip-hop group Goodie Mob along with Big Gipp, T-Mo and Khujo. 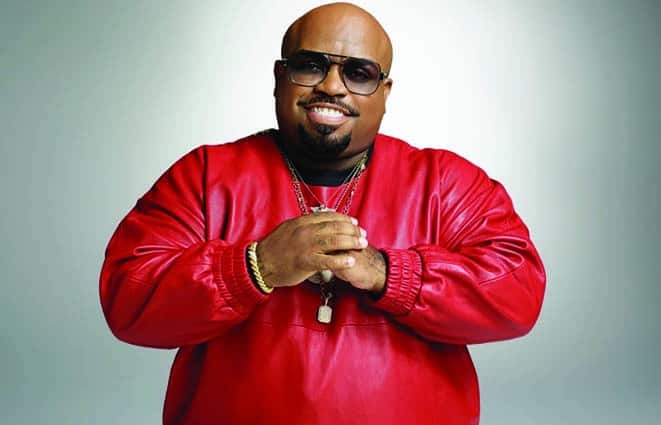 After his success with Goodie Mob, he reinvented himself and formed Gnarls Barkley with deejay-producer Danger Mouse to release the 2006 worldwide hit “Crazy,” which reached No. 1 in various singles’ charts worldwide. Following Gnarls Barkley, Green put his time back into his solo career as CeeLo Green and released the 2010 album “The Lady Killer,” which featured his hit single “Forget You.” He was also featured on Kendrick Lamar’s new album “Untitled Unmastered,” contributing his vocals to song “Untitled 6.” In addition to his success as a recording artist, CeeLo Green completed four seasons as a coach on NBC’s hit show “The Voice” alongside Christina Aguilera, Adam Levine and Blake Shelton. Limited VIP packages ($111) are available online or through the box office, including a meet and greet and photo opportunity, along with swag and early concert entry. Regular seating is $36. Get tickets by calling 802-775-0903, at the box office, or online at paramountvt.org.